VA Adult Day Center, Richfield MN - Kairos Alive! Kairos Alive! Dancing Heart™ is a nationally-recognized, evidence-based program which vitally engages older adults of all abilities in weekly arts participation through interactive dance, music and storytelling. Facilitated by three professional Kairos Alive! teaching artists, the 90-min sessions are designed as a creative collaboration between participants, caregivers and professional artists where the boundaries between performer and audience is dissolved. Stimulated by movement and music, participants share experiences and memories that become the basis of dance and storytelling. Veterans from throughout the Twin Cities, the majority of whom are male, ranging in age from 60-95. These veterans battle a variety of cognitive and physical challenges including strokes, Parkinson’s Disease, dementia, cognitive impairment, memory loss, hearing and vision loss, post- traumatic stress, and depression. VA Adult Day Center professional caregivers are also in attendance, including a recreation therapist, nurse manager and social worker. Kairos Alive was originally brought in back in 2012 as entertainment. At the time, the VA Adult Day Center didn’t offer programming where veterans were engaged in the performing arts. Through Kairos’s Dancing Heart™, the VA staff witnessed veterans share stories, stand up to dance, and engage in improvisational theater and song as participants – not merely observers. Kairos Alive! has been present at the VA ever since. The current program series began in Nov 2015, and is made possible through the Thorpe Foundation, the Minnesota State Arts Board, the Metropolitan Regional Arts Council, and individual Kairos Alive! donors. These veterans are engaged as collaborators in an artistic process based on their interests and context of their diverse lives. 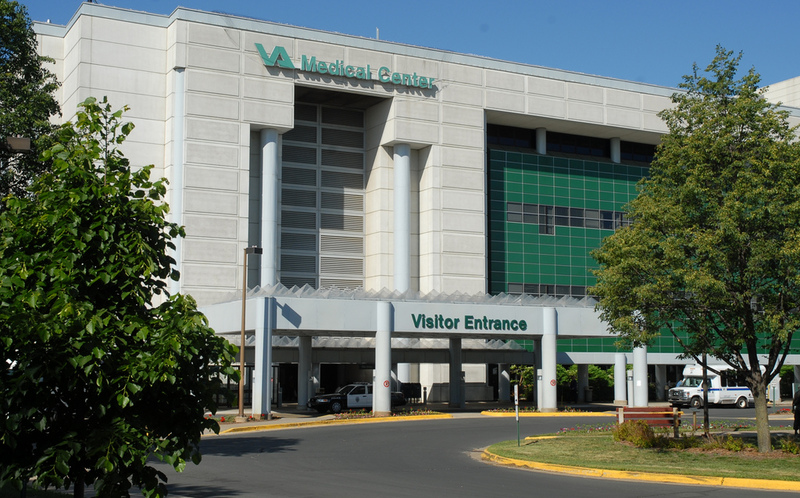 A look back over a 2-year time period by VA staff revealed a decrease in hospital admissions among the participants. An observatory project conducted by the University of Minnesota medical school entitled “Evaluating Touch in Participatory Arts Programs for Older Adults” at the VA Adult Day Center, revealed Kairos’ use of touch within their Dancing Heart sessions resulted in improved relationships between veterans and VA staff, and an improved sense of community and camaraderie amongst veterans themselves. A veteran, whom we’ll refer to as “John”, had been unable to stay focused on an activity or in one place for more than a few minutes. During weekly Dancing HeartTM sessions, John would participate minimally at 5 or 10 minutes. Prior to Kairos’ arrival for one weekly session, John had been very confused and agitated when his wife left him at the VA for the day. During the program, Nicholas (one of the Kairos professional artists) was away from the larger group learning a new song on his guitar that another veteran had requested. John interacted with Nicholas during this time. When Nicholas returned to the group, he invited John to sing the song with him. John agreed, joined Nicholas, and together they sang for the entire group of 25+ veterans for over a 20 min length of time. Quarterly VA Caregivers Creativity Cafés – an interactive dance, music and story program with break-out groups led by a VA social worker, inclusive of coffee, food and conversation. Collaborations with musicians Irv Williams, Sanok Dixieland Jazz Band, Anthony Hyatt, Kevin Washington, Patty and the Buttons, and the Carluster Crumplebee Orchestra. Collaborations with AXIS Dance Company (Oakland, CA), Young Dance, and the Cowles Performing Art Center. “A review of literature regarding the impact of arts-based programming on the health and well-being of older adults found that participation in creative programming had a positive impact on age-related cognitive functioning, decreased anxiety and hostility, decreased depression, increased feelings of mastery, and increased sense of well-being (Castora-Binkley, Noelker, Prohaska, & Satariano, 2010).”  From Rydholm, Siri, “Importance of a Dance Program for Long-Term Care Residents” (2011). Master of Arts in Occupational Therapy Theses. Paper 3. One of our participants, who has early onset dementia, also struggles with anxiety. As his day goes on, he paces and becomes more and more anxious, wanting to go home. When (Kairos) Dancing Heart was here, he got caught-up in the music. He stopped pacing and stood by Maria in front of the group. This veteran interacted with the Dancing Heart almost the entire time. He was smiling, singing, and moving to the music with his hand in the air. After the program, he was able to recall the great music!